Each week class teachers will choose two children to be class ambassadors who are good role models for the school and uphold the core values. The ambassadors will wear a yellow sweatshirt for the week. Ambassadors are invited to join the headteacher to ‘meet & greet’ parents and children. 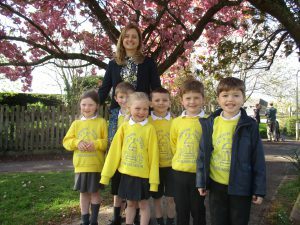 Our Ambassadors bring a ‘ray of sunshine’ to the start of the day as they welcome everyone to school.